Nearly 80% of the world’s top 50 airlines say they plan to be providing NFC services in three years’ time, according to a survey conducted by airline IT provider Sita, but there are technical challenges that still need to be resolved before NFC mobile boarding passes can become the norm. Almost 80% of the world’s top 50 airlines are planning to introduce NFC services by 2014, a survey conducted for airline IT provider Sita has found. However, a smaller percentage of airports are planning to implement NFC in the same timeframe, a second Sita survey has found, with only 27% expecting to adopt NFC by 2014. 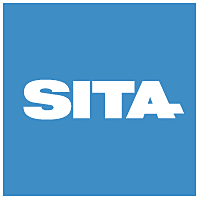 The surveys were conducted last year for the company’s annual Airport IT Trends Survey and Airline IT Trends Survey but have been made widely available for the first time this month, following the launch of an NFC demonstration zone at Sita’s head office in Geneva. The lower likely take-up by airports “may well be because the airports will wait until the airlines have agreed standards before investing in equipment,” says Sita. The challenges facing the air transport industry are ensuring the appropriate boarding pass is presented securely to authorized readers. A passenger can have more than one boarding pass stored on the phone but a security or gate reader should get the appropriate boarding pass automatically. The appropriate boarding pass depends on the location (airport), the date or time, and the context (passenger boarding a flight, at security, duty free, lounge access, etc.). A reader must know the cardlet ID in order to query that cardlet. Should there be one cardlet for the ATI? Or a cardlet per airline, per alliance, airport or country/region? Given that each cardlet app must be uniquely identified, who will manage and allocate unique cardlet IDs? How to ensure security and a consistent way to retrieve a boarding pass between the reader and the various NFC enabled phones. Last month, Japanese mobile network operator KDDI revealed that Japan Airlines would begin issuing NFC tickets and boarding passes from mid-2012. Overall, Sita says it forecasts that “NFC should boost the adoption of mobile boarding passes from 3% in 2011 to 50 to 80% by 2018”.